Royal ThaiSun massage is a combination of 10 years of our practice and almost 100 years of thai tradition. It’s made with knowledge about what our customers value the most in massages. Royal thai massage is a fusion massage, which includes some unique techniques. It harmonizes perfectly and makes royal massage a satisfying offer even for the most demanding clients. Techniques mentioned before consist of elements of oil massage and classic thai massage, legs and feet reflexology and face scrub combined with gentle massage. All of this would put you in a state of deep relaxation and after massage you’d feel as a newborn. We offer 3 time variants for our customers. Otherwise than the rest of our massages the shortest variant is 90min. For people who need long relax 120min and 150min versions are available. During that time masseurs have the opportunity to focus properly on each part of your body, which makes the massage for effective. Oil massage would streamline function of circulatory system and improve your immunity by harmonizing the lymph circulation in the body. It also has a beneficial effect, cause it helps with removing toxins from the body and your skin. A unique blend of oils used for this treatment makes your skin firmer and more flexible, and at regular sessions you will notice the disappearance of cellulite. We owe such a good results thanks to lavender, rosewood, pranjipani, sandalwood, rose, mint and ylang-ylang extracts which are included in the mixtures used for oil massage. On the other hand, reflexology is very exceptional treatment. Properly made by our qualified thai masseuses, it gives a beneficial effect on the functioning of internal organs. Stimulation of the right nerve connections, whose ends are just in the feet, allows to achieve therapeutic effects for the whole body. Feet and leg massage brings relief for people who have trouble falling asleep, it also removes the feeling of ‘heavy’ legs and improves your mood for the next few days. Royal massage ends up with face scrub. After that, your face radiates with energy,it is purified, and skin regains its glow. Later on, the masseuse does face massage using special oils that penetrate deeply into the skin and nourish it. A combination of several massage techniques combined in one treatment has a beneficial effect on your mood, mind, functioning of internal organs and the condition of the skin. The whole organism is revitalized, so it should be appreciated by overworked people. Any tension in the muscles and somatic symptoms of stress would be also reduced or completely removed. Your ability to concentrate and your mood would be significantly improved, so that you’d feel at least a few years younger ... And you ‘d look like younger too. Royal massage is a massage of a whole body. During the massage, most of the time you’ ll lay down. Taking care of your comfort, we will give you disposable underwear before the massage so you do not have to take with you any extra clothes. Firstly, your legs and feet will be massaged with special sticks. The masseur would focus on the main area, which is sole of the foot, and nerve receptors would be stimulated. After that, it is time for dorsum of foot, toes and ankles and then calves and knees. Next step is oil massage, which according to traditional thai massage starts from feet to upper parts of the body. At first you are laying on your stomach, then on your back. At that moment, your chest, arms and hands are being massaged. When the oil massage comes to an end, the masseur starts thai face ritual: face scrub combined with face and head massage. This massage is a combination of several techniques for the most effective renewal of the body and soul. The person who is being massaged gets into deep relaxation state. The treatment includes oil body massage that focuses in a special way on the back. The ritual also consist of feet massage combined with reflexology. 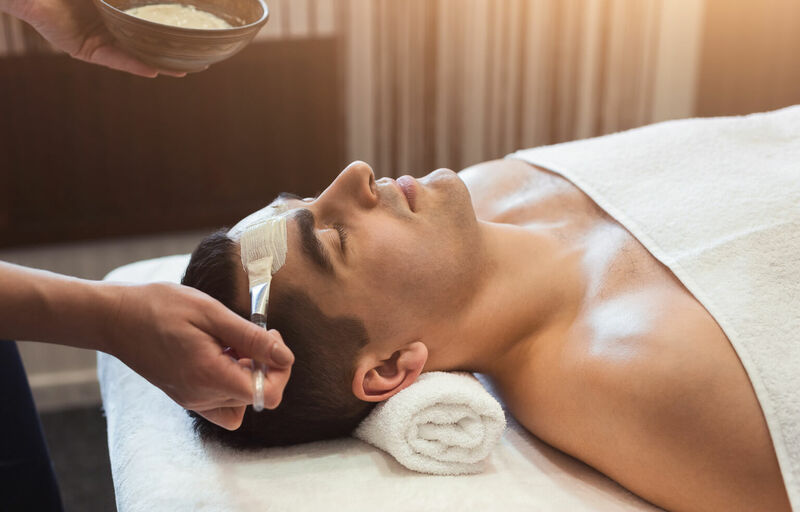 The culmination point of the royal massage is a peeling and face massage, which complements the entire treatment and provides the effect of long-lasting relaxation and de-stressing. What is more, it’d give a radiant, rested look. It is a whole body massage. This massage has been developed to guarantee you deep relaxation and to take advantage of the beneficial qualities of exotic oils. The ritual begins with a foot massage, which is designed to stimulate circulation. Thanks to this, the body is better prepared for subsequent stages of massage and easily absorbs nutrients found in oils. Afterwards, the oil massage begins. All movements in this massage are slow, with full concentration on accuracy and bringing relaxation to the whole body. After an oil massage, the massaged person is covered with a towel so that the oils can better penetrate the skin. The last stage of the royal massage is a face massage and peeling. This treatment has a deeply relaxing and rejuvenating effect. Thanks to it, skin becomes thoroughly cleansed and acquires a youthful glow. This massage is done in disposable underwear. Due to the comprehensive nature of the massage, it is available only in 90, 120 and 150-minute versions.